As I approach my thirties (ok, not so much approach but hurtle headfirst as my birthday is in less than a month), I am really trying to take care of my skin and to look into ways I can work on the areas I have maybe neglected in my twenties, to prevent further damage and ensure my skin looks the best it can as I enter a new decade of my life. I first spoke to the lovely team at Sandbanks Clinic back when they launched their new venue in Ashley Cross. As I was unfortunately unable to attend the launch event, I instead went along a few weeks later for a look around and I loved how clean, fresh and modern the clinic was, and how friendly and welcoming the staff were. I hadn’t really been to an aesthetics clinic before, and was completely clueless when it came to peels, botox and fillers, so I will admit I was a little nervous when I was invited in to try out a treatment myself. In the interest of full disclosure, my treatment was complimentary and was tailored for me personally after a consultation. As I hadn’t had anything like this done before, my therapist Emma decided to opt for an enzyme peel, which is less abrasive than others. I was most concerned about the spots around my chin and the fact that my skin seemed quite dull, so Emma focused on these areas. Emma was so nice and helped me to relax, telling me everything she was doing as she went along and explaining the after effects that might happen before I consented to the treatment itself. Although not as relaxing as the facials I have had in the past in spa settings, Emma made sure her treatment room was as as tranquil as possible and her calming voice reassured me that any mild discomfort I was experiencing was completely normal and nothing to be concerned about. Some elements of the treatment were quite uncomfortable, and at one point I did feel like my face was burning a little. This soon passed, and after Emma had removed the Vita brite enzyme peel and the creams were applied, my skin felt so nourished. I could tell something had worked its magic and I left feeling really pleased with how the treatment had gone, despite my initial apprehension. The following products were used during my treatment – Bio enzyme cleanser, Mystiq illuminating polisher, Vita brite enzyme peel, Bio hydrating mineral masque, mineral retinol solution, caviar creme, Mystiq eye cream, SPF 30 and I was provided with samples sizes of the cleanser, caviar creme, eye cream and SPF 30 to take home and use over the next few days. I took several photos over the following days and, after a week, I could see that my face was a lot brighter and seemed to have a glow that wasn’t there before. Although the spots did disappear, after initially ‘purging’, new spots have since appeared, although I do think this is down to my hormones and diet, as Emma mentioned during the treatment. I need to take more care of my body first and foremost. 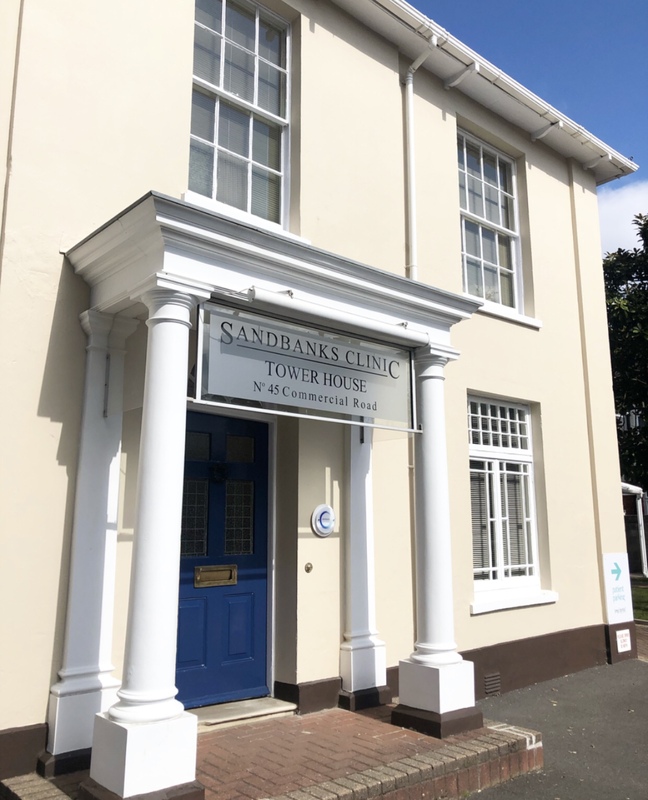 I would recommend discussing your individual concerns with Sandbanks Clinic, if like me you are unsure of what treatment would be best for you, or if you are a little unsure of what to expect. They are all so lovely there and really welcoming and knowledgeable about the treatments and services they offer. My treatment was provided complimentary for the purpose of this review, however all words and images are my own.